Ishion Hutchinson was born in Port Antonio, Jamaica. His poetry collection Far District (2010) won the PEN/Joyce Osterweil Award, and House of Lords and Commons (2016) won the National Book Critics Circle Award in Poetry. Other honors include a Whiting Writers’ Award, the Glenna Luschei Award from Prairie Schooner journal, and the Academy of American Poets’ Larry Levis Prize. He is an assistant professor of English at Cornell University. 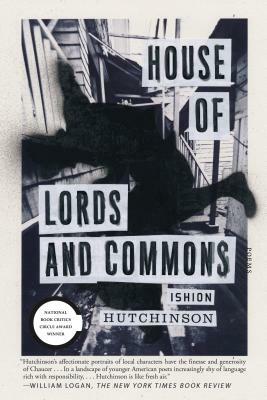 “To call Ishion Hutchinson a brilliant Caribbean poet is just as silly as pigeon-holing Eavan Boland an ‘Irish poet’ or Adonis a ‘poet from Syria.’ This is simply because Hutchinson comes to us from the country called music, he stuns the reader with the sheer symphony of his sentences.